Hello, I’m Tracey and reside in northeast Ohio with my amazing husband, Gary. Our family and faith have always been an important part of our lives. We have been blessed with four wonderful children, and with two weddings in recent years, our family is growing. I'm a shabby chic mixed media artist and enjoy the creative outlet of paper crafting. I've been creating and crafting for as long as I can remember and use many of those skills on my projects. 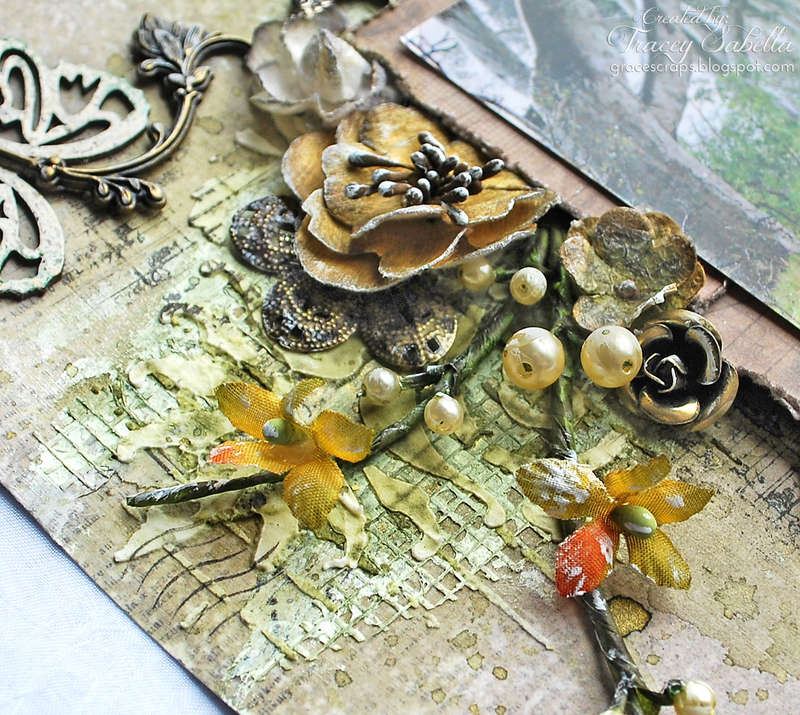 I adore learning new techniques along the way and enjoy sharing my projects along with tips and techniques on my blog.I also design for Donna Salazar Designs, Leaky Shed Studio, and am a Scraps of Elegance Educator. I’m a huge fan of Helmar products and am so excited and honored to be a part of the Helmar team! Hi, I’m Sandee and since childhood, I have been happiest when I have paint and glue on my hands! Playing with new products and getting messy is time well spent in my book. I create a variety of mix media signs, cards, and altered art, and my creative style ranges from cute and fun to clean and simple which I sell in a local gallery called the Art MoB. My latest passion is art journaling, lettering, typography and collecting quotes. My grandest achievement so far, has been my being commissioned to paint a huge fiber glass bear which was auctioned off for charity in the end of the 2014 summer for $4,000.00. I am painting another Bear Footin' Bear to be auctioned off in August 2015. When I am not painting or making paper in my art studio, I am photographing wildlife and hiking through our lovely North Carolina mountains. I am 56 years old, single and deliriously happy checking off my bucket list as I go along in life. Hello my name is Sharon, I live in the Midwest state of Missouri. I am a great-grandmother of three, and I have a great husband we have been together for 50 yrs. My life has been related to the art and craft business in some way or another, I majored in art in high school and some in college and being a mother of three boys. I was the craft leader in an organization they belonged to and a Vacation Bible School craft Leader for many years. This pattern continued with my three grand kids. I have been a craft store owner and Painting teacher, Home-school art teacher and I took a break for about 5 years. 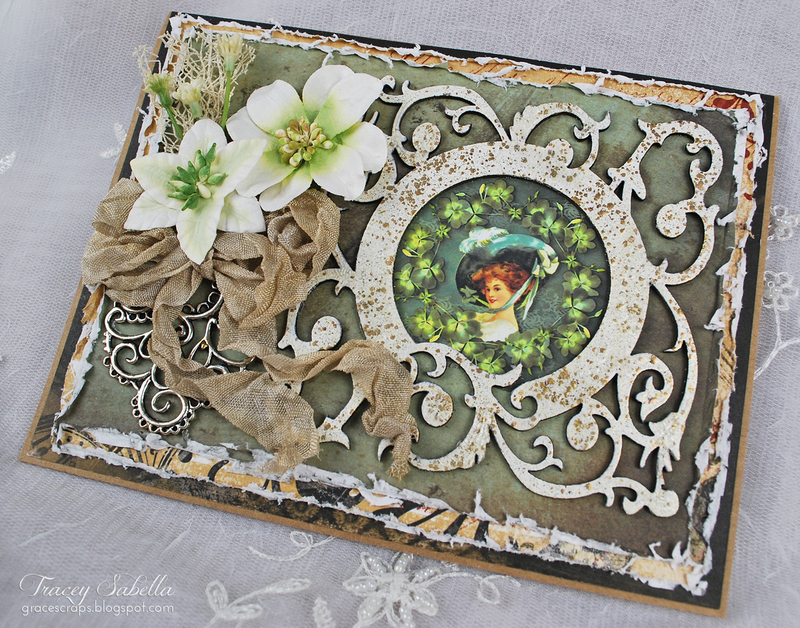 About 18 months ago I found Facebook, some great people and started with mixed media, journaling, stamping and I fell in love with the layered look of the steam punk/grunge and Victorian fluff/altered books and boxes. I have been my own designer all my life, I knew what I liked and that is what I did. I am basically self-taught and have always dreamed of being a designer. Thanks to some great friends I took the plunge and I am now a Helmar Design Team Member. Hello, my name is Nicole. I live in northern UT with my husband Brandon and our two boys Wesley (11) and Thomas (2). Yep, you read that right my boys are nine years apart in age. It has its challenges at times, but it's so much fun to have another little person running around here. I work part time in the mornings as a cake decorator and the rest of the day I'm the regular SAHM. I found scrapbooking when my oldest son was about 7 months old and have been addicted since. I never ever imagined I would be a scrapbooker, but here I am combining my love of color, design, photos, and memories into one love. I've been doing design work in the scrapbook industry for about nine years. I've worked for several scrapbook manufacturers, monthly kit clubs and have been published in quite a few major scrapbook magazines. Hi! My name is Kathleen and I hale from the great state of TEXAS! I live just outside of the Dallas with my hubby of over 20 years and our two Boston terrier babies. My three children (loves of my life) are all grown up and flown the nest. My oldest child, Brendan, and his wife finally graced me with a grandson! I started scrap booking over 12 years ago and fell totally in love. My style has change through the years. I love to explore new mediums and techniques. 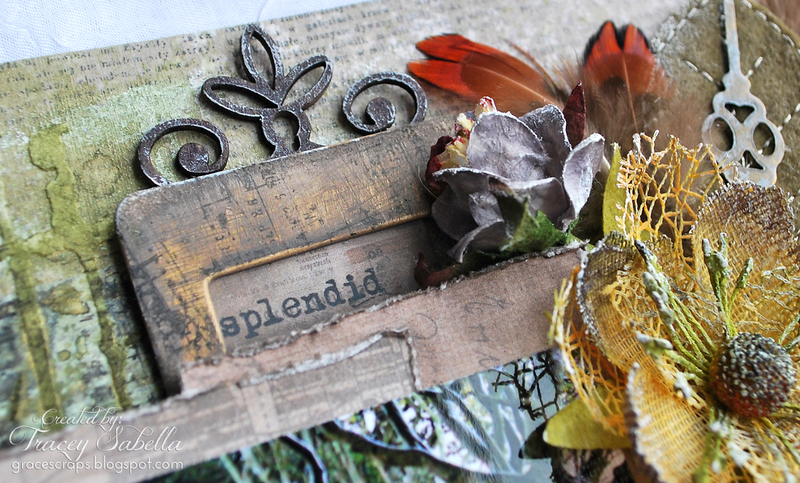 I love to play with paints, stenciling, and fussy cutting. My hobbies aside from scrap booking are photography, gardening and traveling. Hi! My name is Steph and I live in New York with my husband, our son, and one very photogenic pup. I have been creating in some form for as long as I can remember. I love the creative process, am very versatile and love to create an assortment of projects from canvas wall hangings, to tags and cards to mixed media projects and more. My day just isn't complete if I haven’t spent some time in my craft room. I have a dedicated studio where I play and create. I also teach a wide variety of classes in my studio and my local craft stores and I encourage my students to play with their products and tools. I believe that only by playing can you unlock your potential and the potential of the products you are working with. You have no idea what you can create if you don’t take time to play and explore. I am a CHA Designer Member, have the pleasure of being on a number of design teams and have had my work published in a number of magazines. I am thrilled to be a part of the Helmar Design Team. Hi! My name is Martice and I’m a mixed-media collage artist, designer, and instructor.My traditional and digital illustrations are infused with a vibrant mix of fashion, graffiti and soulful affirmations.My highly-detailed art is instantly recognizable. As a woman of faith, I lead a heart-based business as creative director of Martice Smith II - Illustration & Design Studio and owner of Uneek Art Boutique.Where I offer online art workshops so that I can empower artists to live the life they envision for themselves, without compromising their unique sense of style. It's no secret that I’m kind of obsessed with turtles and pandas! My inviting spirit transcends and encourages wild and creative play! 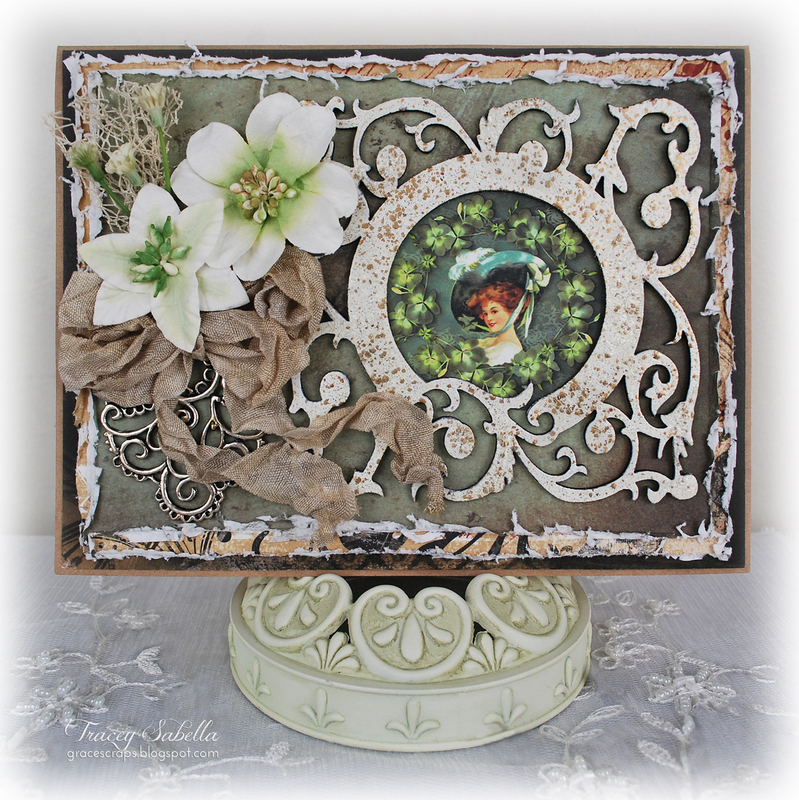 It's Tracey here with a guest project featuring Helmar Liquid Scrap Dots. There are so many times when I want to add dimension, but want to tilt an element, vary the height, or have an uneven bottom surface that would be difficult to glue or tape to my project. In these situations, I grab my Helmar Liquid Scrap Dots. I've included photos below to show you how I've used them on this layout to attach my angled flowers. 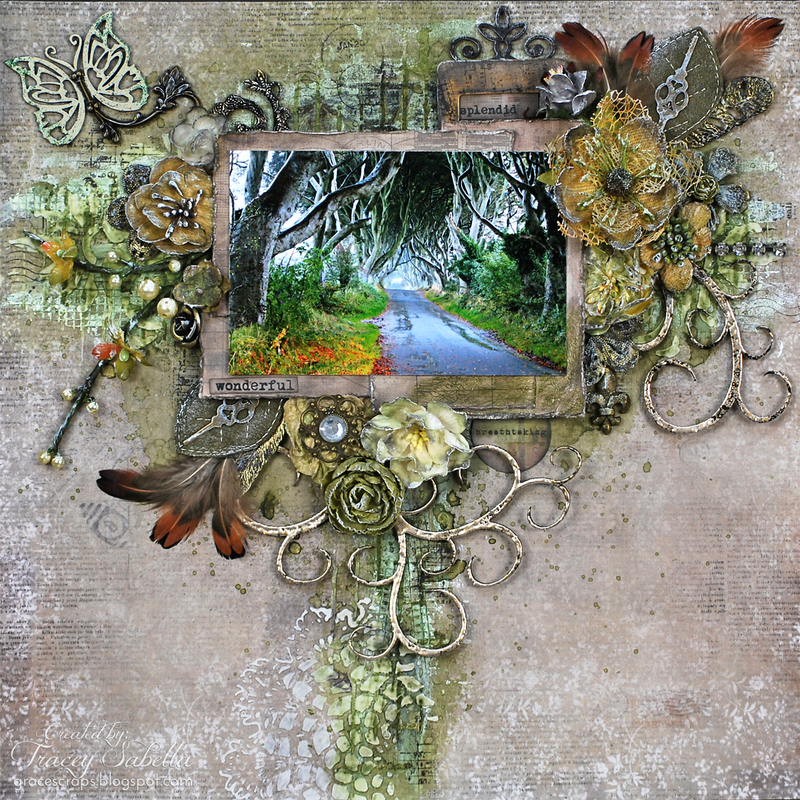 I've used a photo of Dark Hedges in Northern Ireland taken by my scrapbooking friend, Linda Eggleton. As soon as I saw this image, I fell in love the the lines and colors and knew it would be a gem to create with. Linda has graciously given me permission to scrapbook a copy of it. You can find more of her delightful photos and work HERE. 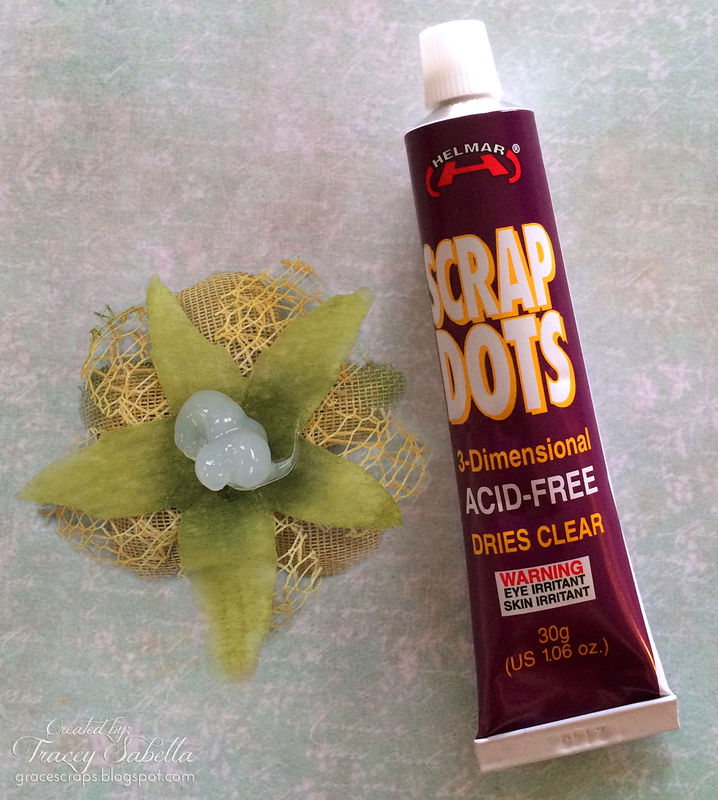 Helmar Liquid Scrap Dots are the perfect adhesive when you want to place a flower or other embellishment at an angle. I squeezed a rather large dollop of adhesive onto the back of my flower, then placed it onto my page at an angle as shown below. The adhesive is thick and will hold the position until it is dry as long as you don't bump and move the adhered item until it is set. It takes a while to dry, so I like to adhere and position my items then allow to dry overnight. It dries with a strong bond that will hold the position permanently. And for Helmar's mixed media fans ~ yes, it adheres well to surfaces covered with a variety of mediums. Here you can see how beautifully that large flower nestles into the cluster and over the raised photo mat. 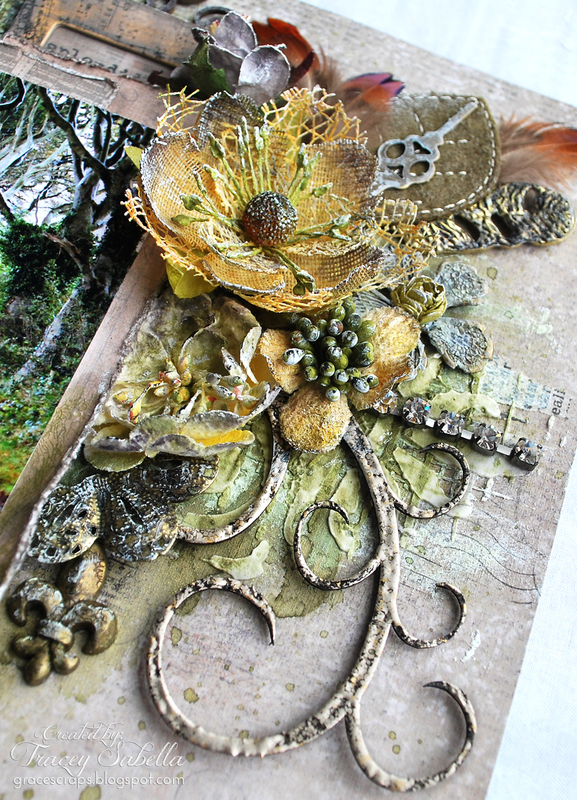 Chipboard, feathers, metal elements, and flowers that are not angled, are all adhered with Helmar 450 Quick Dry Adhesive, which adheres so beautifully to my mixed media background. The Leaky Shed Studio Swirl Tree has similar lines to those in the Dark Hedges photo. I cut it apart, then heat embossed with a grungy silver embossing enamel. I adhered only the base of the branches under the flower cluster using Helmar 450 Quick Dry Adhesive so the swirls would be loose and slightly raised. I enjoy giving new life to older, out of style objects. Remember those old photo slide frames that were popular, oh about 10 or so years ago? This one had a wood grain on it. I sanded it lightly, rubbed with ink, and randomly stamped to give it a grungy edge, then tucked in part of my typeset title that is spread across the page. 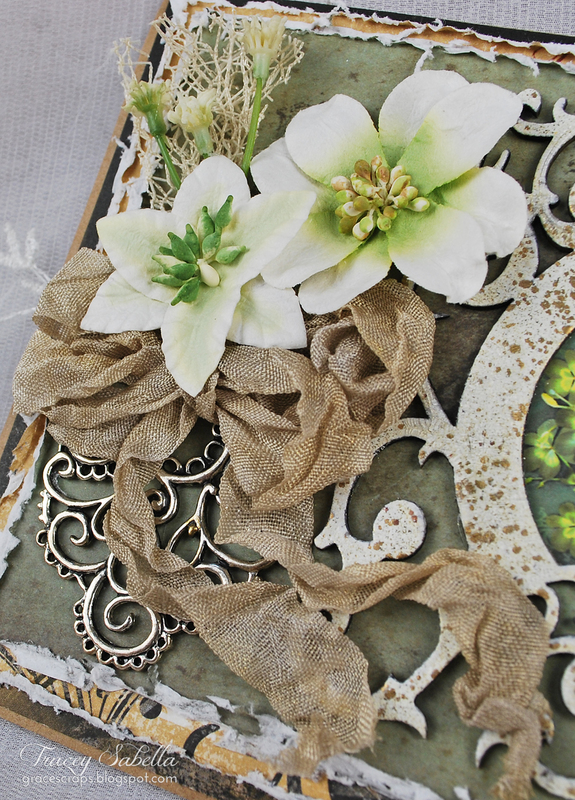 When adhering paper to paper like this pieced photo mat, I use Helmar Premium Craft Glue. While 450 Quick Dry Adhesive would perfectly well here, I reserve it for materials that need the stronger bond it provides. Here's what I'm talking about when I say materials that need a stronger bond. I haven't found many adhesives that will create a strong bond between metal and mixed media laden papers. Helmar 450 Quick Dry Adhesive works for me every time! This Leaky Shed Studio Spring Butterfly is heat set with a couple different colors of embossing enamel and also adhered with Helmar 450 Quick Dry Adhesive. Isn't it sweet how this metal flourish looks like the butterfly body and flows into a lovely, flowing trail? The photo and mats are raised using two layers of Helmar Zapdots leaving space to tuck the edges of flowers and other elements underneath. Helmar Liquid Scrap Dots for your next dimensional project! I began with embossing a piece of white card stock. I cleaned up my corners by using my corner rounder. Cut a few pieces of card stock in strips, distressed the edges and layered them using Helmar 450 Quick Dry Adhesive. Stamped Happy Birthday and added my decorative mesh. I then stamped a dragonfly with stazon ink. Colored it with water soluble markers and moved the color with my water brush. Used my glitter brush in clear and added shimmer to my dragonfly. Gave it dimension by using Helmar Liquid Scrap Dots underneath it. Took some cute little Dazzler sequins and placed those on the page using my Helmar 450 Quick Dry again. I really love my 450 while it can be used for just about anything, I generally hoard it to use on non paper items. ::holds head down low:: Yes I hoard my 450.. It's my *special occasion* glue! Well I hope you all enjoyed seeing my card for Brook. Thank you all for stopping by and hope the next time you are creating, you are creating with Helmar Adhesives! Hi everyone, Sandee here with some cute Easter treats that you can easily make for your friends, co-workers or anyone that needs a special bunny treat. I like to make small gifts for my neighbors and hang them on their front door knobs so they get a surprise when they open their door in the morning. Each one of these comes ready to hang up filled with candy! First you take a cardboard tube and make a bottom for it. ( We don't want our candy to fall out! ) Trace the tube onto a piece of cardstock and trim around the circle aprox. .25" so that you can cut out flaps, bend them and glue around the base. Make sure to cut an opening for the legs too! Once you have adhered it the base of the tube with your Helmar Tacky Glue then cover the tube with a piece of white paper. Next I altered the bag of treats that I purchased to go inside the tubes for 2 reasons. 1. They were too big and I had to remove some of the candy ( oh darn, right? I ate them, lol ) 2. Once I unfolded the bags toppers I discovered I could cut around the outside of the ears, glue them together and then retie them back with an even prettier ribbon from Really Reasonable Ribbon. Make sure to cut only around the outside of the ears so they will remain upright and not flop over. The edge of the bag where my cutting stopped is easily tucked in before you add the ribbon. Next I added my faces onto the front. The nose needed special attention since I wanted to layer the nose and whiskers together so I used my trusty Helmar Liquid Scrap Dots because it works wonderfully for all uneven bumpy surfaces. I couldn't decide which face to make so I made 3 different ones! And every bunny needs a cottontail so I glued a cotton ball to their backsides with the Helmar Tacky Glue. I had to have some fun posing one of them sitting on the little chest with his leg crossed over his knee, they are just too cute and are lots of fun to make. Make an bunny treat and surprise someone! Greetings, fellow creatives! Jennifer, here, with a birthday card right up the alley of any number crunchers on your list. I seem to always have grand ideas about making birthday cards for friends and family but seldom to I start early enough to actually get it done. With my husband's birthday later this week, I finally got on the ball and created this card that even he--an accountant--has to agree with. After all, the numbers don't lie! The heart of the card is the string of years printed out on my adding machine (I'm a bookkeeper myself, this is standard stock at our house). If you don't have access to an adding machine, you can easily create the same effect with a typewriter font printed on regular paper and trimmed to about 2" or so wide. I played with the folds and curve of the strip of adding machine tape to get just the right amount of "movement" without overwhelming my card blank and held it in place with a kitchen clip while I grabbed my Helmar Liquid Scrap Dots. Liquid Scrap Dots are perfect for this because the adhesive will support the curves and undulations in the strip of paper. Remember when I said you could use computer paper for this? It might be a good idea, even if you do have adding machine tape available as you'll see the Scrap Dots through the thinner material. After the adding machine tape was set on the blue card stock, I added the beginning of my message (It All Adds Up...) in small sticker letters, and some other embellishments that will make more sense in a moment using Quick Fix Permanent Adhesive Runner. Now, I'm going to be honest here and admit that I cut my matting card stock too short. Rather than cut another piece, I split it across the middle and used the "gap" to run a bit of chenille fiber behind the card front. To complete the adhesive trifecta on this project, Helmar ZapDots added a bit of loft to the double-matted number stickers for the birthday boy's age. Finally, to finish the card, I matted a piece of card stock in the same way as the front (at which point it totally became a stylistic choice and no one but you and I need to know it was an error!) with more Adhesive Runner, and wrote the rest of my message, "you're another year AWESOME!" For giving, I suggest a slightly over-sized envelope to allow for the fullness of the front matter, and if you're going to mail it, a padded envelope might not go amiss. It's Tracey back to share a St. Patrick's Day birthday card. Birthday card you might ask? 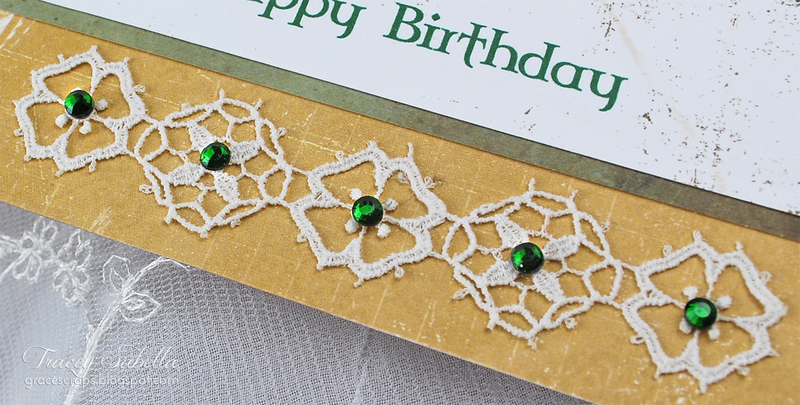 Yes, I have a dear friend who's birthday falls on St. Patrick's day and she fully embraces the day with all the green and Irish she can muster up, so I put together lots of green and Irish touches on this card. I've added some gems to the inside, in green of course, and used Helmar Gemstone Glue to adhere them. Gemstones can be a challenge to adhere and have them really stick without adhesive oozing out around them. 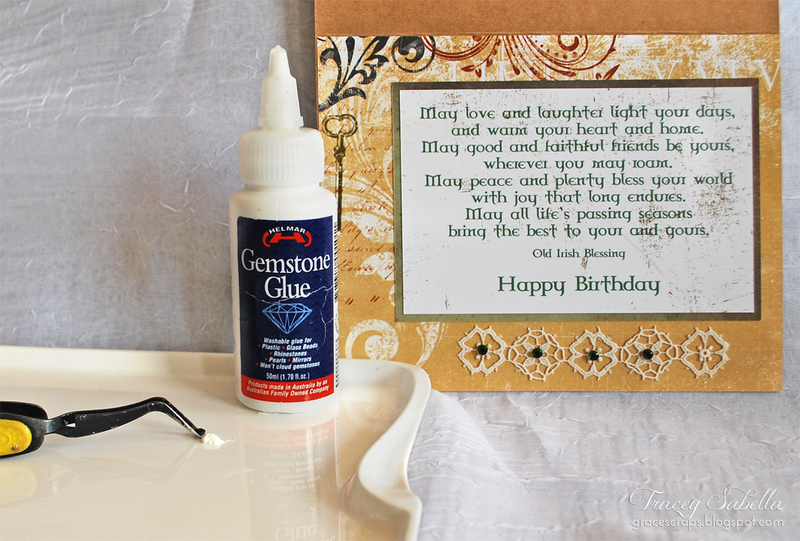 Helmar Gemstone Glue is a perfect solution. I simply placed a drop of glue on a paint palette, then used tweezers to dip the back of the gem into the glue and then placed it in the center of the lace design. Here's a close-up. I love to peruse thrift stores for papercrafting supplies. Once, I found some beautiful vintage, lace-edged handkerchiefs and this Irish lace was cut from one of them. 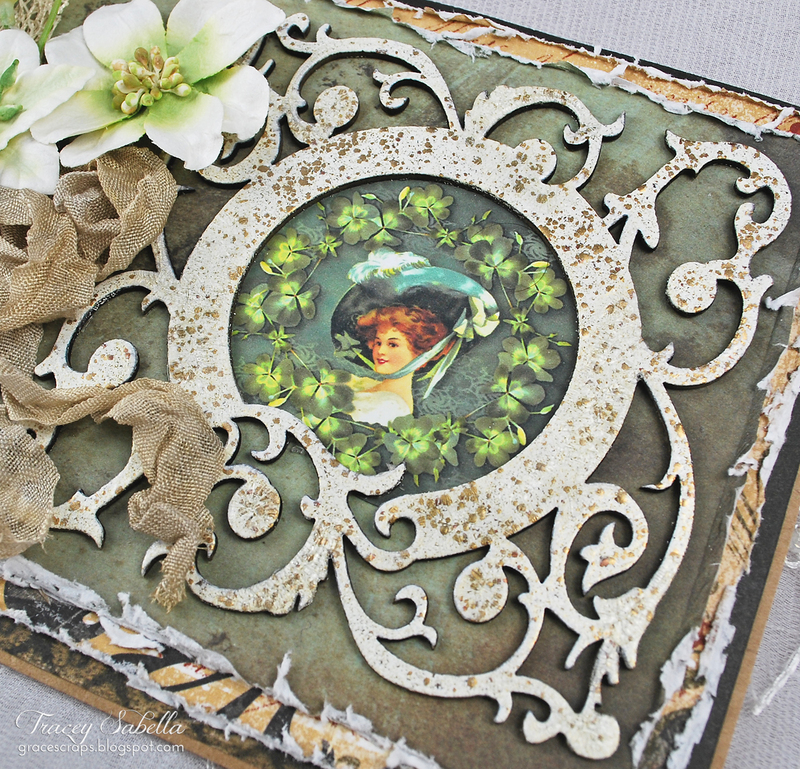 This beautiful Garden Circle Frame by Leaky Shed Studio was quick and easy. 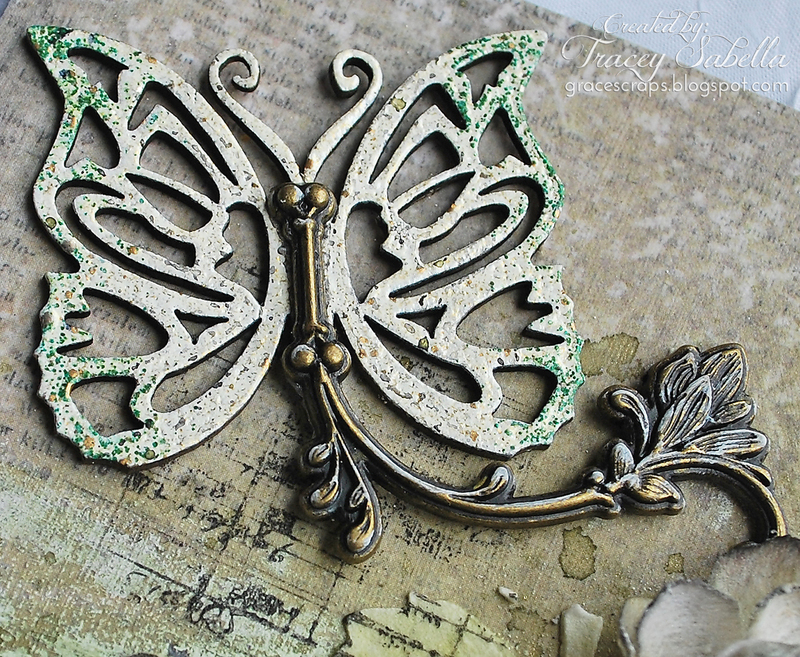 I heat embossed with Fran-tage Embossing Enamel for this gorgeous finish. Of course I adhered it with Helmar 450 Quick Dry Adhesive. I hand dyed this ribbon with mists to coordinate and tied in a triple loop bow. I used some Helmar Liquid Scrap Dots to help raise and position the flowers around the cluster and Helmar 450 to adhere the bow, jewelry piece, and smaller flowers. One final look. All the paper to paper layers are adhered with Helmar Premium Craft Glue. Hey everyone, Katie here! It's quickly becoming Spring here in Texas so I wanted to decorate this clay pot to add a bit of cheer to my front porch! I used Helmar Fabric Stiffener and Draping Liquid for this project. I took a bunch of 5" fabric squares that I had in my fabric stash and gave them a good coating of the Fabric Stiffener and Draping Liquid. It's super easy to use, you just pour a little bit in a bowl (I watered mine down a little bit) and then completely soak your fabric before laying them out to dry. I did a few different types of flowers. On the blue flower I cut out a bunch of petal shapes. For the hot pink rose I cut out a swirl and for the pink flowers I just cut out flower shapes and layered them. The Fabric Stiffener made it so easy to cut the fabric into shapes since the fabric was almost like paper! To turn my fabric shapes into gorgeous fabric flowers, I used Helmar 450 Quick Dry Adhesive to glue them onto Q-tips! First let me wish you all a Happy St. Patrick's day. Veronica here today to share with you my simple and sweet (easy to scrap lift) two page layout. I had some left over papers in my stash which I always go to first. I love using what I have which by the way is organized by theme. My process starts of course with picking out all the papers and embellishments that I think I will use, then I start tearing, and layering. Thank you for stopping by to Helmar. Hello my Helmar friends! 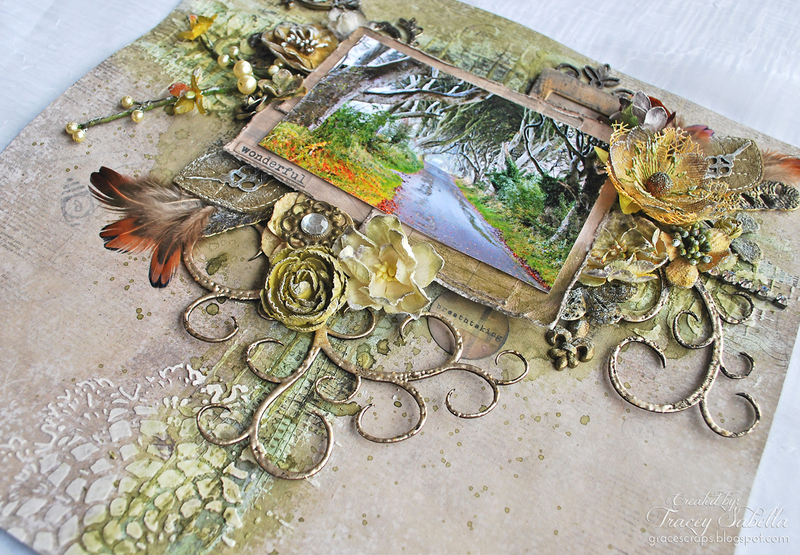 Kisha here today to share a very special card I created for a very dear friend. I really enjoy creating cards to give to my family and friends, and this card I really love. To start of course I gather way too many items I think I may want to use. I began with an A2 card base (4.25X5.50) and use cut layers and pattern paper scraps to begin the embellishment/layering process. 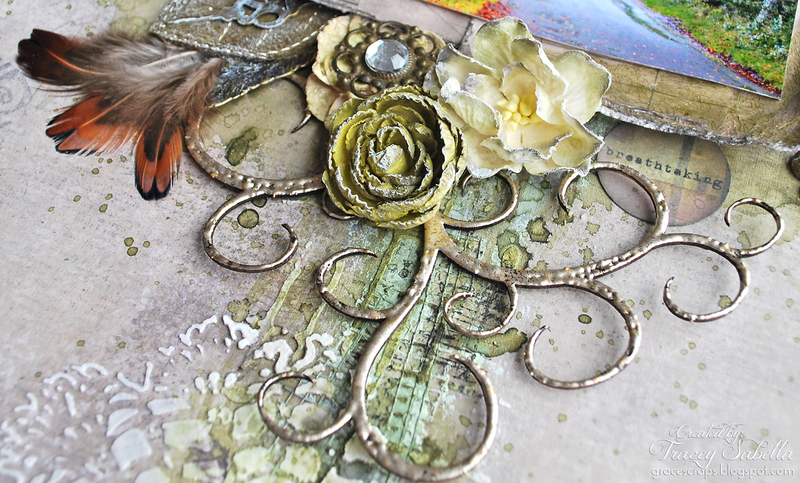 To bond my layers and embellishments I used Helmar 450 Quick Dry Adhesive. Here I also add Helmar 450 Quick Dry Adhesive to the back of this polymer mini frame. After all of my pattern paper layers have been added and the mini frame is adhered, now it's time to add florals, lace and more ink. Below are a few up close views of the card...Hope you enjoy. Thank you for stopping by. Have a great creative week!